Day 1 at the World Judo Masters in St. Petersburg, Russia and the man of the day was reigning World Champion Hashimoto Soichi of Japan. The world number 1 threw big with his favourite technique, the Hashimoto special, throughout the day, including a fantastic Ippon against the Russian Iartcev. He then used the same technique to score Waza-ari against Azerbaijan’s reigning European champion Hidayat Heydarov. In the final, he faced Georgia’s 2012 Olympic Champion Lasha Shavdatuashvili, where he used Osoto gari to score Waza-ari and give him his second World Masters title. After losing for the first time in over 2 years at the Tokyo grand slam it was a welcome return to the top of the podium for Hashimoto. The woman of the day was another reigning World Champion, Mongolia’s Sumiya Dorjsuren. The world number 1 was in great form throughout the day, throwing with 2 big dropping shoulder throws on her way to the final. There she defeated Japan’s Yoshida Tsukasa, in a rematch of the World final, when her opponent was penalised in golden score. Under 60kg gold went to Japanese youngster Nagayama Ryuju after a fantastic dropping shoulder throw against Spain’s Francisco Garrigos. Nagayama was awarded his Gold medal by Academy Award-winning actor Adrien Brody. There was a gold medal for Russia to celebrate as Natalia Kuziutina took gold at Under 52kg. The under 48kg gold medal was awarded by Arkady Rotenburg, IJF executive committee member and President of the International Judo Fund. The recipient was Japan’s Tonaki Funa. 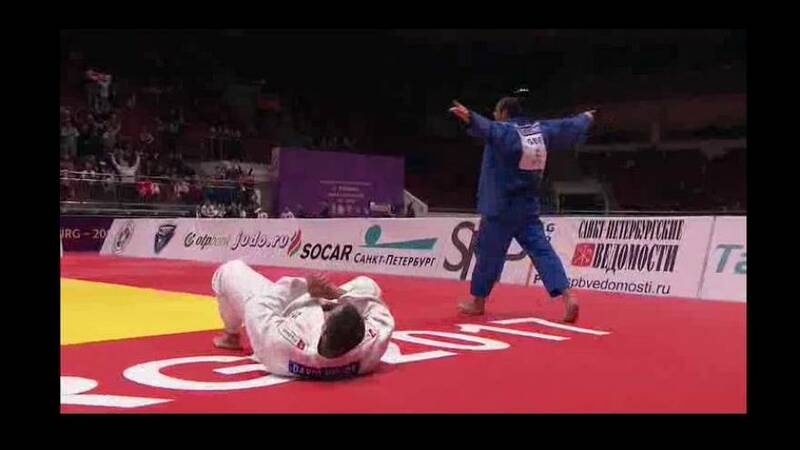 An all Japanese final at under 63kg was finished in style by defending World Masters Champion Tashiro Miku with a fantastic Uchi-mata for Ippon. She received her third World Masters medal by IJF President Mr Marius Vizer. There were fireworks in the under 66kg Final as Mongolia’s Kherlen Ganbold defeated Kazakhstan’s Yeldos Zhumakanov with a spectacular Ippon in the last 10 seconds of the contest. It was a second gold medal for Mongolia, who are having a great tournament so far. Our move of the day came from reigning World Champion Clarisse Agbegnenou who threw Juul Franssen of The Netherlands with this incredible footsweep.